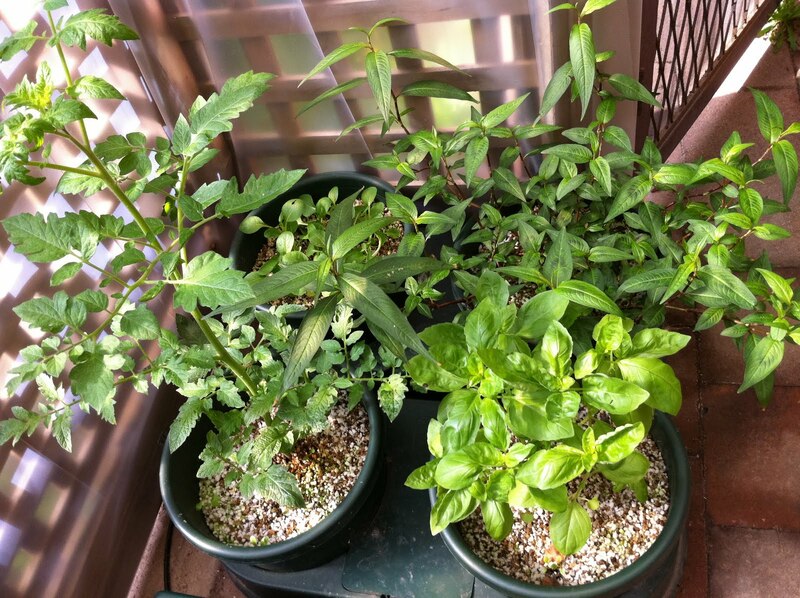 The Autopot system turned me into a gardener. My parents spent the last 10 years trying to get me interested in gardening, but I don’t socialise very well with snails..earthworms..dirt..aphids.. When I married Mangy and moved into his tiny apartment, I very quickly realised that my parents had a point. There’s nothing better than homegrown veg. Supermarket wimpy greens just don’t cut it. The apartment had a small covered balcony – therefore the lighting wasn’t the best either. I was determined to transform it into a little green patch. So the research began and I stumbled onto hydroponics. Most online hydroponic stores are extremely helpful, but start asking about indoor lighting and mini greenhouses, and they clamp up and get very cryptic with their answers. I assume they didn’t believe me when I said all I wanted to grow was mint! I decided very quickly on that I wanted a system that didn’t rely on electricity to run. I also wanted a fool-proof (no need for a science degree) set-up that I could leave on its own all week. I wanted something local, so that support was easy to get. I also knew that I’d like to start with growing the staples and then progress to more exotic numbers. My search narrowed down to the Autopot system. I’d strongly suggest you visit the Autopot websitefor the mechanics on how it all works. 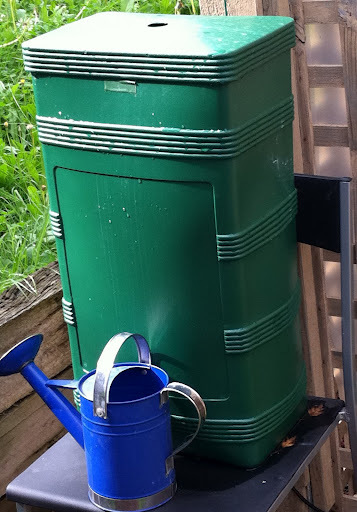 Basically, I (the husband) fills a 30 litre tank with water once a month. We use about 300 ml in total of nutrients in the tank. The water is fed to the pots through pipes that connect the pots to each other and to the tank. The tank sits at a height (we’ve got it on an old dining chair at the moment) and that’s really all there is to it. We have since moved into a traditional family home, and have expanded our Autopot set-up. We’re addicts, and would happily give up most worldly pleasures to buy another pot to add to the system. In fact, we’ve stopped dining out as much as we worked out that one meal out costs us the equivalent of 2 pots. One side of my auto-pot garden. I’ve also managed to purchase some seeds from eBay sellers in Queensland for vegetables not traditionally grown in Australia. Our chillies come from a nursery at the Preston market – called the plantwhiz. The owner cultivates the Naga variety, which are similar to the chillies used in India. 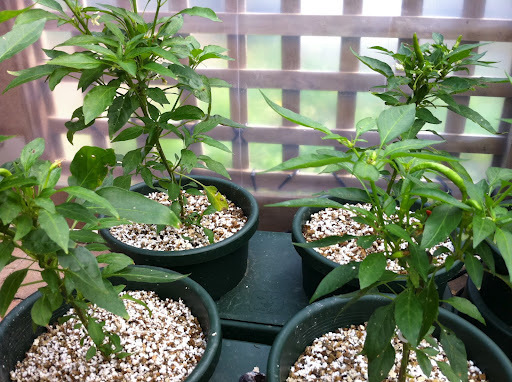 Chilli Plants – from the plantwhiz in Preston. If you look closely, you’ll see the chillies. So all in all, I’m a happy mostly pest-free gardener. I visit the Autopot store almost every other week. It’s a little out of the way for us, but we enjoy driving out to Springvale, and meeting the guys who run Autopot is always inspirational. There’s something new to learn all the time. They’re extremely patient, so even if you don’t intend to purchase, I’d suggest you still visit. Here are some pictures, you have to remember we’re in May, so it’s pretty cold down here in Melbourne, especially at night. We’ve put up some plastic sheets to block out the cold wind as we don’t have a greenhouse, so we’re doing the best we can. 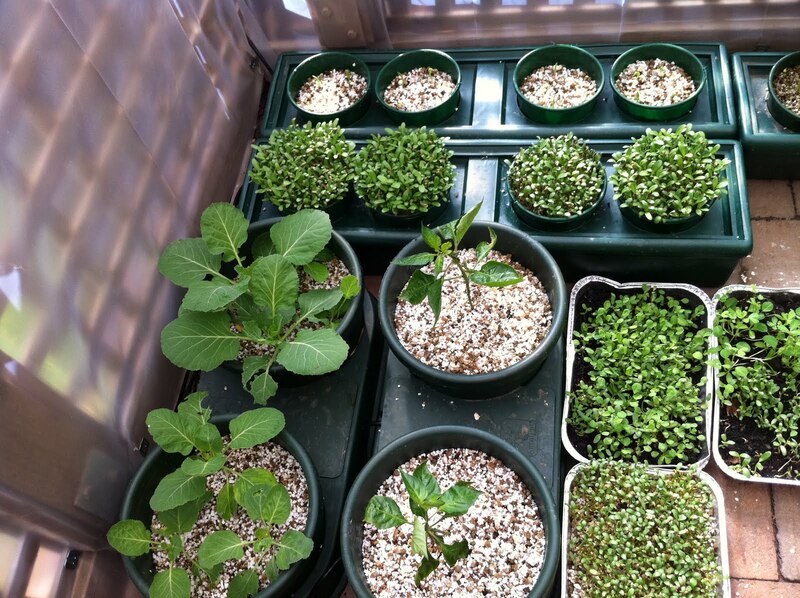 Fenugreek Leaves – 1.5 weeks since sowing seeds. 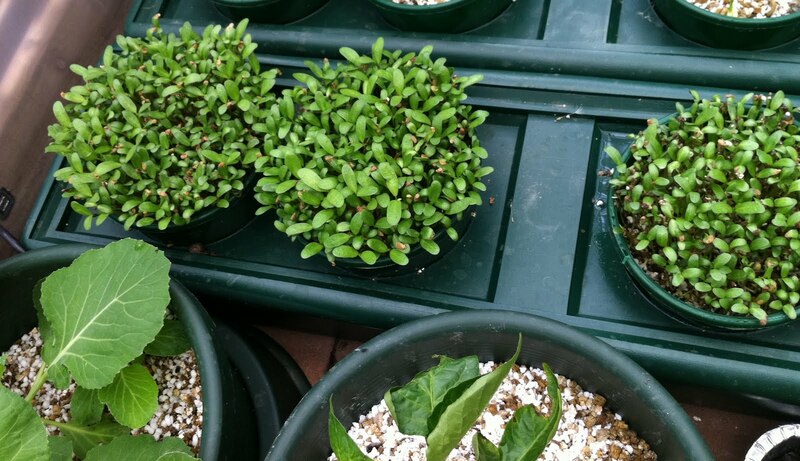 chilli seedlings from Queensland, Back: Methi/Fenugreek. 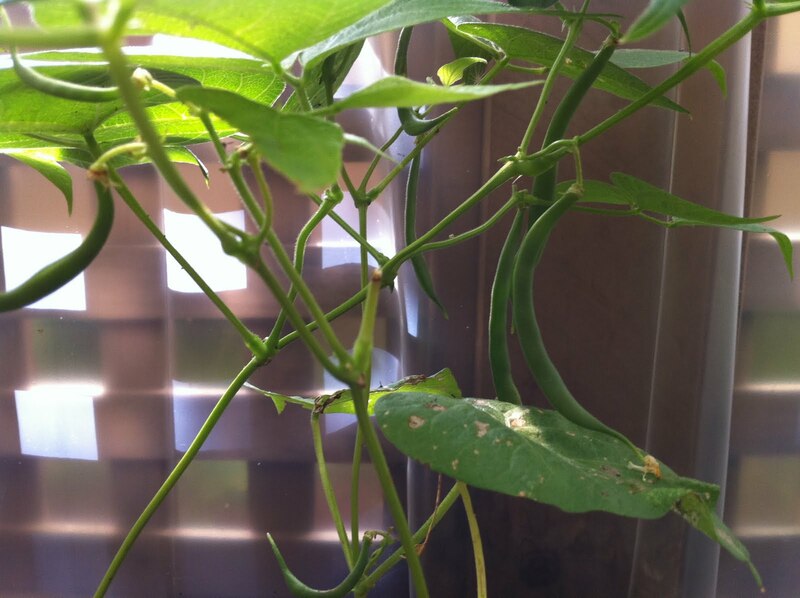 seeds about 5 days ago and can already see shoots. we have Vietnamese mint growing madly. Behind the tomato, we’ve got Bok choy coming up from seed. they’ll make a great harvest. I loved this post. After reading through this and seeing the results, i am inspired to have few for myself, as it looks easy and clean. and maybe once i see the vegies growing in my backyard, try my hand in cooking them too.